When the passenger slams the taxi door shut after getting in the vehicle it appears to go straight through the mystery woman. This chilling video that appears to show a woman ghost following a man into the back of a taxi has left the internet freaked out. 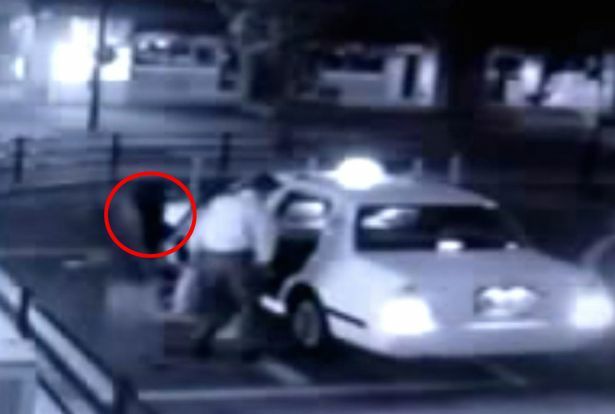 The black and white CCTV footage shows a passenger waiting for a taxi at night in a near-deserted area. But when he walks towards the vehicle the back door suddenly bursts open and a ghostly figure appears out of nowhere. The man seems oblivious to the spiritual presence with long black hair standing just inches behind him. He then slams the taxi door shut and it appears to go straight through the mystery woman. The creepy clip has racked up tens of thousands of views on YouTube. Other taxi drivers around the world have reported spooky happenings in the back of their cabs – with at least seven in Japan’s Ishinomaki having experienced a ‘phantom fare’ after the area was hit by a devastating tsunami in 2011. They start the meter and ask for the destination, to which the customer gives a strange response. Either then, or sometime later, the driver turns around to address the man or woman – but they have vanished. This is because, it is claimed, they were a ‘ghost passenger’ who was killed in the disaster five years ago. The coastal town in Miyagi Prefecture was among the regions most seriously affected by the deadly tsunami, which killed nearly 16,000 people in total. Ghostly spirit or an optical illusion? Saul Vazquez will only say that this photo has not been altered. (CNN) When people encounter tragedies, either in their own lives or the lives of others, they often try to make sense of it all. Saul Vazquez said his father snapped the accident scene as he passed by it Tuesday afternoon from the cab of his truck. 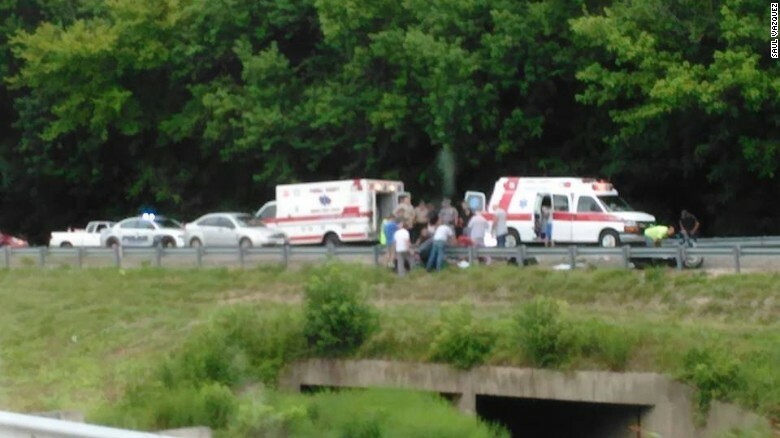 The photo appears to show the faint outline of a figure hovering over the accident scene. The man involved in the motorcycle crash later died at the hospital. Vazquez didn’t immediately respond to CNN’s request for comment but told CNN affiliate WLEX the photo wasn’t altered. ©2019 Angels Within - All Rights Reserved.